I like that this seat is convertible and my child looks comfortable in it. I found it a little difficult to adjust the straps that secure her in the seat. All in all, I give this 3 stars. Got this today and I love it will always by this brand. I bought this for my 10 month old since he outgrew his infant car seat. I set it up for rear facing and it just felt like he was tilting the whole time while he sat in there. At that age, they still tend to nap often in the car and it looked uncomfortable the whole time. It looks like it might be good for front facing, but it did not work for me for rear facing. I was recently in a car accident and although my kids weren't in the car (thank god), their car seats were. I purchased this as my daughter's replacement. I love that it has a stand for when the seat is forward facing. It puts my daughter at the perfect angle and is sturdier than other car seats I've used. My daughter loves that she can look out the window now! "What's that?! What's that?!" I bought this car seat about a month ago and I love everything about it. I have a 4 month old and I can tell a complete difference in her attitude when she rides in this car seat compared to her old one. I am very happy with my purchase. Confusing belt set up. Changing the shoulder belts from the lowest slots to the middle slots required removing the straps, repositioning them & reattaching them to the splitter plate. Found it extremely difficult to reattach according to the written directions vs. the diagrams. I bought this seat for my daughter after she had outgrown her carrier. It has been a great seat! It has enough cushion for comfort and roomy. We just purchased another Graco seat to continue growing with her and I'm certain we will be happy with it too. I would recommend this seat to anyone! Bought this for my baby girl. It serves it's purpose it's very ample and cute love the apples!!! She is very comfy in it and the price was great! We bought this for our newborn, I liked this one for the latch system it has on it and it was in our price range. Would have liked more if it was reclinable (reason for 4 stars) but still a nice sturdy carseat. Always a fan of Graco products! We've had this carseat for about 3 years and it's still going strong and in great condition. My child has the capability to be and stay comfortable. So easy to set up in the car, the strip never twist up, and it is really easy to unbuckle. (For parents not kids).I have recommended this same carseat to a couple of friends who have also loved their ready to ride convertible car seat when they purchased one. This car seat is bigger than the SnugRide we had, that's why we like it, but it is very annoying to put it on the car. We like that it seems to be comfortable, there is a cup holder and is bigger as mentioned. I love that it is super cute as well as fashionable! Getting my daughter in and out of the car is a breeze now with this convertible car seat. Thanks Graco! I bought this for my first son and he feels like such a big boy in it! We both love it! Although I recieved this product free for review, all opinions are my own. There are so many features of this car seat I love. The five-point harness is super secure, and I love that the fabric is easy to clean (because you know something is going to happen to necesitate a wash!). My son appreciates the snack and cup holder. While this car seat is not as easy to install as our other, it's still a good choice for the price. I also like that it can be used with babies as small as 4 pounds-- helpful if we want to use the car seat for another kiddo in the future. While I received this product for free, the opinions and thoughts included in this review are my own. I love this carseat! It comes already set for an infant, I have a toddler, so setting the straps wasn't too difficult. I love the fact that you can use this for an infant too! So the child can grow with the seat and continue using it for at least a few years. It's not big and bulky so it fits great in our van with other car seats. Super easy to install. 5 point harness is perfect! Buckling is easy and makes it hard for the child to get out of the seat. I love the shoulder protection too! Price is absolutely affordable for it being Graco. I definitely recommend this car seat. It's comfortable for the child, it's safe, it's affordable and usable for a few years! Disclosure: While I received this product for free, the opinions and thoughts included in this review are my own.My third son hasn't had many new things in his 2 and a half years of life. Almost everything he owns has been handed down to him from either his older brothers or friends. I agreed to review this car seat, knowing that it would be nice to get something brand new for him.When the seat came, it was already put together. It was set for rear-facing, but it was super simple to set it to forward facing. Installing into the car took me maybe 5 minutes, and that was mostly just me tightening to make sure it was in there really well.The seat itself is comfortable, and not too bulky. It fit well even in a smaller car. The favorite part for my son of course is the snack and cup holder, that can be used on either side of the seat.His previous seat was getting worn, and he often cried or complained of his leg falling asleep. In the Ready Ride he is super happy and comfortable, which has made longer trips so much easier. I will be picking up another one soon for his little sister! Disclosure: While I received this product for free, the opinions and thoughts included in this review are my own. My third son hasn't had many new things in his 2 and a half years of life. Almost everything he owns has been handed down to him from either his older brothers or friends. I agreed to review this car seat, knowing that it would be nice to get something brand new for him. When the seat came, it was already put together. It was set for rear-facing, but it was super simple to set it to forward facing. Installing into the car took me maybe 5 minutes, and that was mostly just me tightening to make sure it was in there really well. The seat itself is comfortable, and not too bulky. It fit well even in a smaller car. The favorite part for my son of course is the snack and cup holder, that can be used on either side of the seat. His previous seat was getting worn, and he often cried or complained of his leg falling asleep. In the Ready Ride he is super happy and comfortable, which has made longer trips so much easier. I will be picking up another one soon for his little sister! My third son hasn't had many new things in his 2 and a half years of life. Almost everything he owns has been handed down to him from either his older brothers or friends. I agreed to review this car seat, knowing that it would be nice to get something brand new for him. When the seat came, it was already put together. It was set for rear-facing, but it was super simple to set it to forward facing. Installing into the car took me maybe 5 minutes, and that was mostly just me tightening to make sure it was in there really well. The seat itself is comfortable, and not too bulky. It fit well even in a smaller car. The favorite part for my son of course is the snack and cup holder, that can be used on either side of the seat. His previous seat was getting worn, and he often cried or complained of his leg falling asleep. In the Ready Ride he is super happy and comfortable, which has made longer trips so much easier. I will be picking up another one soon for his little sister! I recently received this product for free, but the opinions and thoughts included in this review are my own. To my surprise, the installation of this seat is super easy. I am not a handy woman and I usually rely on my husband to do any installation work. But this time I did it by myself in a few minutes by using the latch system.I could feel it is fastened very securely. The cup or snack holder comes in handy to keep my baby busy in eating or drinking. I sometimes also put toys in the holder. The head and body insert is removable so that it is easy to clean it. The fabric is soft and sturdy. Although my kid does not speak, I could feel that my child feels comfortable in the seat with the insert. All in all, I love this seat. Disclosure: While I received this product for free, the opinions and thoughts included in this review are my own. We have been looking for a new car seat for our youngest daughter, who just turned 3 yrs. old. Her previous car seat is only a year old, but has been a headache since we first bought. The install was a pain and we ended up going to a local car seat install location, as we just couldn't get it to fit in our backseat. Then, when we had to remove the seat cover for washing due to juice spills, spit up, etc., there were also headaches. so, when we set out to get a new car seat, the Ready Ride Convertible Car Seat (Finley; Toddler) looked like the best car seat for our needs and for our growing toddler. This car seat is perfect for smaller babies and for toddlers who are still under 40 lbs and rear facing, as well as for families who have limited backseat space for an oversized car seat -- or, like in our case, already have another forward facing car seat for other child installed. This car seat fits perfectly in our backseat and with our other daughter's convertible car seat, there is still room in the middle seat, which wasn't the case with the previous car seat we had. The install was so easy and within a matter of minutes, this lightweight car seat was installed and ready for my daughter to try out. She loved the color, which is perfect for both boys and girls. And, the cup holder was a big plus for her, as she felt like a big girl, finally having a space to put her sippy or snack cup when we are out and about. As a parent, I love how this car seat comes with the LATCH equipped for easy install, while also providing a 5-point harness for kids who weigh 2 to 50 lbs. While we haven't had to remove the seat covering yet, I love how it is machine washable -- both the seat cushion and inserts, and can be removed quickly and easily, which is a huge plus for us. We have only had this car seat for 2 weeks now, but I don't know how we ever lived without it. It is the best car seat we have owned, and I have been quick to recommend to family and friends who are looking to buy a car seat for their child (infant through 50 lbs.). With so many wonderful features and a child who now loves car rides, this is the best investment for families and will not hurt your wallet. While I received this product for free, the opinions and thoughts included in this review are my own. My daughter was beginning to outgrow her infant seat so this convertible seat looked like a great next step for long-term use. I like that this goes up to 40 pounds rear facing; I want her to be rear facing for as long as possible for safety. 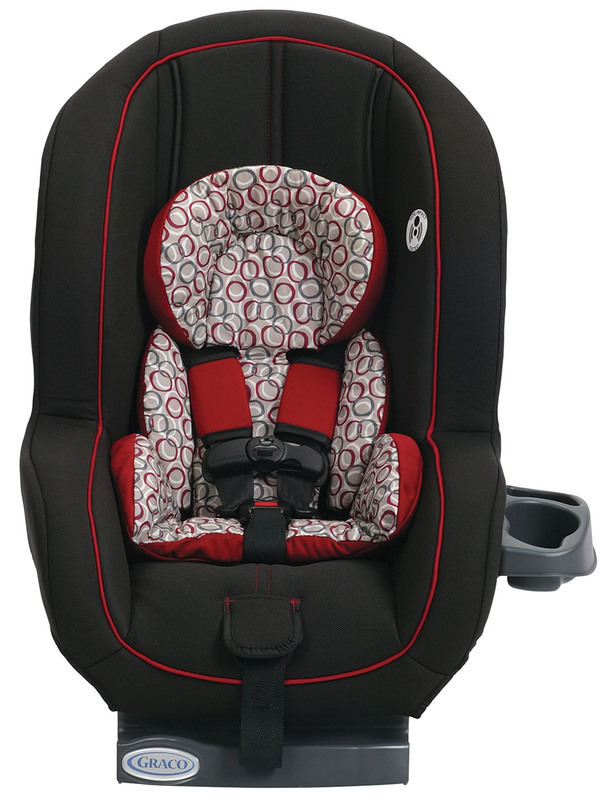 This seat also forward-faces up to 50 lbs with the 5 point harness which is a great feature! I want to get the longest use for my dollar so this is a great value. The print is cute and I like that the seat is a bit darker so it doesn't show every little bit of dirt. It's also nice that you can take off the cover and throw it in the washer when you need to. You can also remove the head and body supports once your child doesn't need them. Not all seats have a nice head support so that is a plus. The only issue about having a darker seat is during really hot days. I've noticed this seat absorbs heat more quickly than my other child's lighter colored seat. Installation didn't take very long and the indicator was easy to tell that it was installed properly. It isn't so large that I can't fit two car seats in my SUV and still have room between them for another person to sit if necessary. The 5 point harness adjusts fairly easily and I like how it doesn't seem like my child can fiddle with the latch and get it open on her own. As she gets older, that will definitely be a big plus. I hate worrying that my toddler is trying to unbuckle her seat when I'm driving! (her big sister has done that before) I don't have any problem getting her in and out of the seat easily and having her buckled within seconds so that we're off and rolling on our way. I like the padding on the straps too so that they don't rub against your child. Like I mentioned earlier, you can keep your child in the harness up to 50 lbs, which makes me feel confident my child is safe while in this seat. Another great feature is the cup holder that can be attached or removed. This will be handy for longer car trips to store a sippy cup and a small snack. Overall, this has great safety and comfort features at an affordable price. I'm very happy with it! My son loves how comfortable this is! It is by far the best I've had. 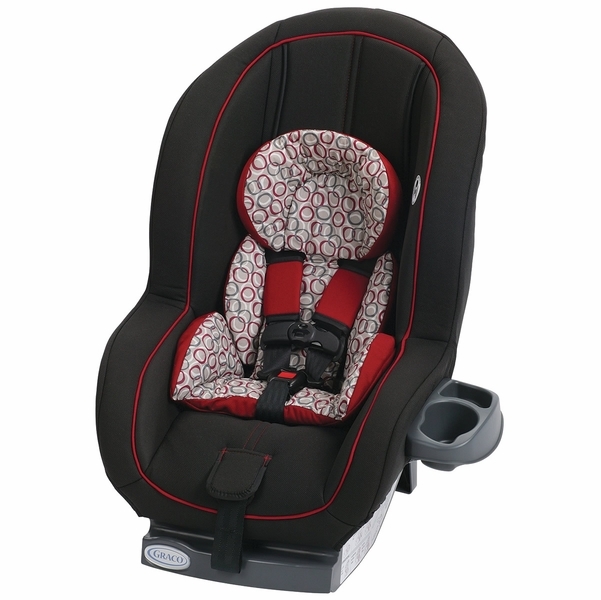 The Ready Ride convertible car seat is great for long term use. My 1 year old has outgrown her infant carrier car seat but I like that this car seat will not only work rear-facing for the next year but will continue to be used once she is forward-facing, too. It came pretty much ready to go right out of the box and it was easy to prepare the seat and install with the LATCH equipment by following the straight forward directions given. It has a smaller profile and a lighter weight than other convertible car seats but does not give up any of the safety features. Since I have to take my car seats out every so often to use my car for work, I enjoy that it is easy to move and install on my own.I really like that the cup holder is easily removed to either clean it or remove it for space reasons in the car. I do wish it had 2 since my kids love to have all sorts of items with them to play with in the car but it does have two sections at least. I can see that the Ready Ride would easily adapt to a newborn and would be the only car seat you needed for the first few years of life. The print on the head and body support is vibrant and gender neutral and the seat material color means stains won't show up easily but will also be easy to wash.While I received this product for free, the opinions and thoughts included in this review are my own. The Ready Ride convertible car seat is great for long term use. My 1 year old has outgrown her infant carrier car seat but I like that this car seat will not only work rear-facing for the next year but will continue to be used once she is forward-facing, too. It came pretty much ready to go right out of the box and it was easy to prepare the seat and install with the LATCH equipment by following the straight forward directions given. It has a smaller profile and a lighter weight than other convertible car seats but does not give up any of the safety features. Since I have to take my car seats out every so often to use my car for work, I enjoy that it is easy to move and install on my own. I really like that the cup holder is easily removed to either clean it or remove it for space reasons in the car. I do wish it had 2 since my kids love to have all sorts of items with them to play with in the car but it does have two sections at least. I can see that the Ready Ride would easily adapt to a newborn and would be the only car seat you needed for the first few years of life. The print on the head and body support is vibrant and gender neutral and the seat material color means stains wonÃÂ¢Ã¢Â¬Ã¢Â¢t show up easily but will also be easy to wash. While I received this product for free, the opinions and thoughts included in this review are my own. The Ready Ride convertible car seat is great for long term use. My 1 year old has outgrown her infant carrier car seat but I like that this car seat will not only work rear-facing for the next year but will continue to be used once she is forward-facing, too. It came pretty much ready to go right out of the box and it was easy to prepare the seat and install with the LATCH equipment by following the straight forward directions given. It has a smaller profile and a lighter weight than other convertible car seats but does not give up any of the safety features. Since I have to take my car seats out every so often to use my car for work, I enjoy that it is easy to move and install on my own. I really like that the cup holder is easily removed to either clean it or remove it for space reasons in the car. I do wish it had 2 since my kids love to have all sorts of items with them to play with in the car but it does have two sections at least. I can see that the Ready Ride would easily adapt to a newborn and would be the only car seat you needed for the first few years of life. The print on the head and body support is vibrant and gender neutral and the seat material color means stains won't show up easily but will also be easy to wash. The Ready Ride convertible car seat is great for long term use. My 1 year old has outgrown her infant carrier car seat but I like that this car seat will not only work rear-facing for the next year but will continue to be used once she is forward-facing, too. It came pretty much ready to go right out of the box and it was easy to prepare the seat and install with the LATCH equipment by following the straight forward directions given. It has a smaller profile and a lighter weight than other convertible car seats but does not give up any of the safety features. Since I have to take my car seats out every so often to use my car for work, I enjoy that it is easy to move and install on my own. I really like that the cup holder is easily removed to either clean it or remove it for space reasons in the car. I do wish it had 2 since my kids love to have all sorts of items with them to play with in the car but it does have two sections at least. I can see that the Ready Ride would easily adapt to a newborn and would be the only car seat you needed for the first few years of life. The print on the head and body support is vibrant and gender neutral and the seat material color means stains wont show up easily but will also be easy to wash. While I received this product for free, the opinions and thoughts included in this review are my own. While I received this product for free, the opinions and thoughts included in this review are my own.We love this car seat! When looking for a car seat I have three requirements: Safety, budget and size!Safety first! The five point harness is easy to use for adults, but my toddler can't undo it. It's also easy to install, which can often be the most frustrating part about car seats.The price of this car seat is awesome. As many car seats as we need for our cars, plus the nanny and grandparents, price is always important.Finally, we love that it has a smaller profile than other convertible car seats, making it easier to get three car seats in a row in our SUV.I'd definitely recommend! We love this car seat! When looking for a car seat I have three requirements: Safety, budget and size! Safety first! The five point harness is easy to use for adults, but my toddler can't undo it. It's also easy to install, which can often be the most frustrating part about car seats. The price of this car seat is awesome. As many car seats as we need for our cars, plus the nanny and grandparents, price is always important. Finally, we love that it has a smaller profile than other convertible car seats, making it easier to get three car seats in a row in our SUV. While I received this product for free, the opinions and thoughts included in this review are my own. We love this car seat! When looking for a car seat I have three requirements: Safety, budget and size! Safety first! The five point harness is easy to use for adults, but my toddler can't undo it. It's also easy to install, which can often be the most frustrating part about car seats. The price of this car seat is awesome. As many car seats as we need for our cars, plus the nanny and grandparents, price is always important. Finally, we love that it has a smaller profile than other convertible car seats, making it easier to get three car seats in a row in our SUV. I'd definitely recommend! I am blessed with 3 amazing Grandkids. I want to do everything in my power to keep them safe and protected. Which means car seats. Since I don't have all three kids all the time we share car seats. Tired of the hassle and work that it takes to properly install those car seats I finally have one just for my car. Some of my favorite features are the fact that the Ready Ride will grow with the kids! Starting at 4 POUNDS until they are 50 pounds! While I don't have a 4 pound Grandbaby right now, I will be ready for the next one! Most important feature is safety. Love all the safety ratings, including side impact testing!! This is one all around SAFE and expertly made car seat. I feel confident that my precious cargo is safe when riding in my car. Next great feature the LATCH equipped with an easy-to-read level indicator for hassle-free installation. I am confident the car seat is properly installed. The 5-point, front adjustable harness keeps the tot's safely harnessed in the car seat. It's also NOT a harness that toddlers can undo themselves, which I love since I have one particular Houdini, not naming names ELI, that thinks it's funny to give the NaNa a heart attack! The harness is adjusted in the front of the car seat, just under where your child bends their legs, this feature also makes it easy to get your child out of the car seat and to tighten when putting the child into the car seat. I also like the less fussy color design of the Finley. The seat itself is a charcoal gray with red piping, very stylish looking. The head and body supports fabric is red, white and gray interlocking circles. Another great feature is that the head and body support inserts are removable. It's also machine washable!! You know LOVE that feature!! Another feature that I absolutely love is the cup holder! FINALLY no reaching back and handing drinks and grabbing them back. Now the tot's have their own removable cup holder that also has a small snack tray. I can't decide which part I love the most, the cup holder snack tray itself or the fact that it's easily, I do mean EASILY removable for clean up! The seat cushions are removable and machine washable which is a HUGE bonus for me. How can someone so small make SUCH a big mess??? 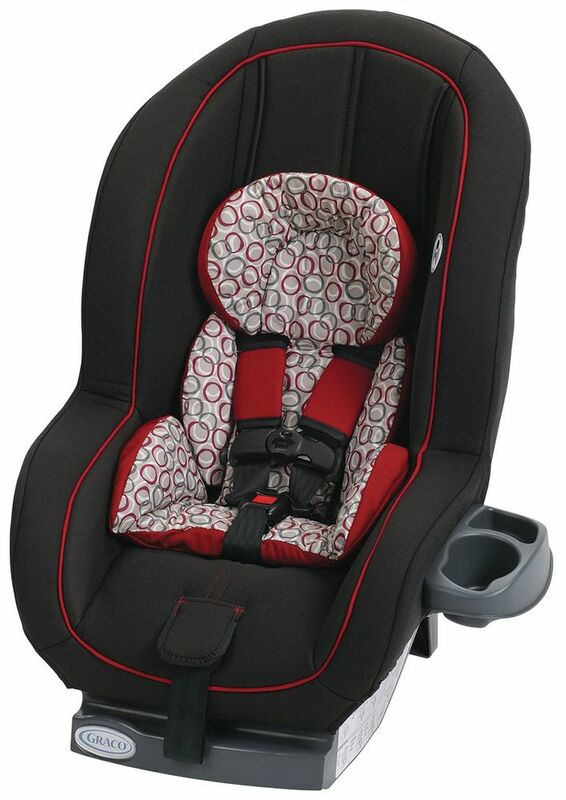 The installation of the Graco Ready Ride Convertible Car Seat was easy. The belt paths are easy to access and the instructions were easy to follow. The harness is simple to adjust in height and tightness. However, like most car seats you will need to re-thread the harness in the back when changing the height. The seat has plenty of cushion. Underneath the seat cushion is an EPS foam liner, which absorbs crash forces better than the plastic shell alone. I'm very impressed with that feature. The harness straps are thick and do not easily twist around. Another feature I love! There are also a pair of shoulder seat belt shoulder pads that Alice says are "Very ComFORTball" According to the three tot's this is a comfortable car seat. Now rather than herding kids to the car like jello, they RACE to the car because the first one in gets to ride in Graco Style!! Disclosure: I have received this Graco Ready Ride Car Seat free for the purpose of this review. The opinions are 100% mine. I have not been influenced in any way. Regardless, I only recommend products or services I use personally and believe will be good for my readers. While I received this product for free, the opinions and thoughts included in this review are my own. I received this Car Seat for my 3 (he's a small 3) year old & man, we both love it! He fits wonderfully in it, he loves the color, he loves that he has his own cup holder & snack holder on the side! I love the 5 point harness making it impossible for him to escape his seat without my help. (He tries sometimes). I think this is a great seat, especially for the price and I absolutely love how secure it is & how safe it makes me feel. I BOUGHT THIS CAR SEAT A MONTH AGO AND I FELL INLOVE WITH IT. ITS LIGHT WEIGHT AND VERY EASY TO INSTALL. IT ALSO COMES WITH A REMOVABLE CUP/BOTTLE HOLDER WITCH I LOVE, MAKES IT EASY TO CLEAN. THE MATERIAL TO THE CAR SEAT IS NICE AND EAASY TO CLEAN ALSO. While I received this product for free, the opinions and thoughts included in this review are my own. I recently reviewed the Graco Ready Ride Car Seat (Finley) for my youngest grandson, Braxton who is 2 years old, but weighs only 25 lbs. Yes, he is a tiny fellow. I found this car seat to be ideal for him because since he is now able to ride in the front facing direction he is very well protected with the 5 point harness system which Graco has checked out very well for safety. I love so many things about this car seat. The cup holder on the side is very handy and it can hold a snack or drink and can be easily removed for clean up. I also like the color of this seat. 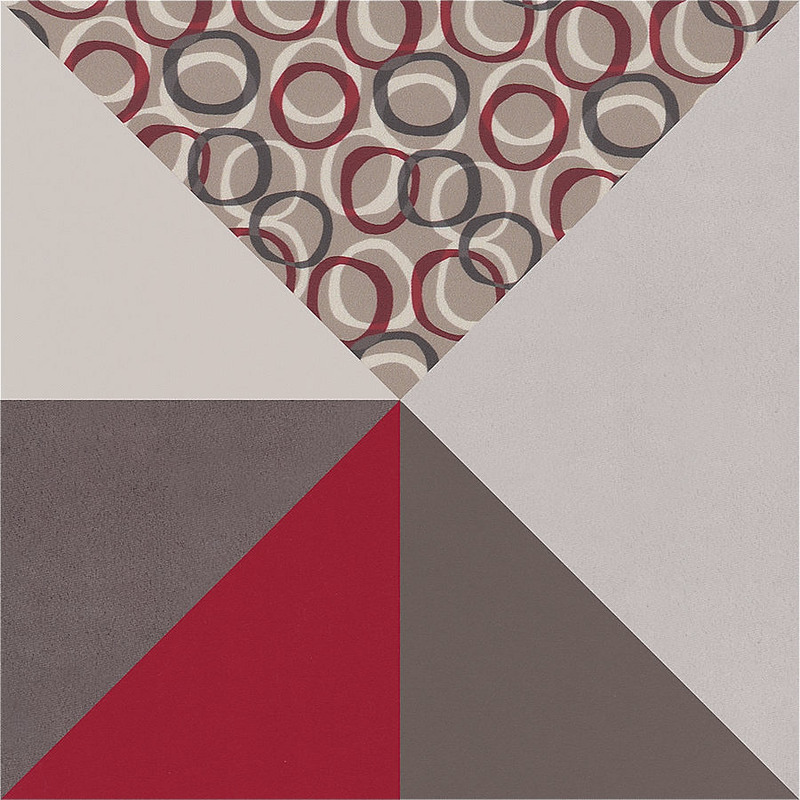 The name of this design is Finley and the colors are a beautiful red and black. Perfect for boy or girl. Clean up is easy too. Just remove the cloth covers and toss in the washing machine. I would definitely recommend the Graco Ready Ride Car Seat (Finley) to anyone. If your child is only 4 lbs. or 40 lbs.,this car seat will work. There is no need to have 2 or 3 sized car seats because the Ready Ride is compatible for all ages. 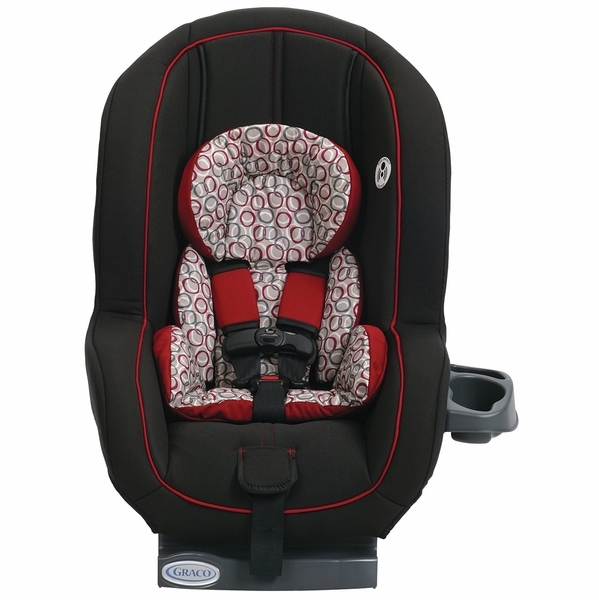 So if your looking for a wonderful car seat that is very pretty, easy to manage, very safe, and can hold a newborn to a toddler, then the Finley Ready Ride Car Seat from Graco is perfect for you. I am very well pleased with this seat and my grandson loves riding in it so it must be very comfortable. Check out this car seat, I believe you will like what you see. I had several Graco car seats for my older 2 girls. Their seats were too old to be used with my youngest.I found this seat. It looked perfect. I didn't want a huge 4 in 1 seat. I planned to get a high back booster when she turned 4. I knew going in it didn't have all the bells and whistles of the more expensive seats. The product stated it was good until 50 pounds. What I didn't expect was for my 2 year to out grow the seat. The strap settings are too low. I've had the seat for 1-1/2 years and I have to purchase a new seat. This seat was a waste of money. Very disappointed. I was searching high and low for a slightly cheaper carseat for my mothers car for my 20 month old. After looking around for a while, I stumbled upon this seat. I decided to go to Walmart and check out the seat. It's very very light (lighter than my original carseat) and very stylish. The fabric feels like it won't stain easily. The best part of all, it's not that hard to install. I installed it myself in literally ten minutes (I also had it professionally checked just because it seemed too easy. Ahaha). For the price I got it for, I can't think of a single reason to complain. The Ready Ride™ is one of the convertible seats on the market that provides solutions for even the smallest baby, starting at just 4 pounds! This excellent seat accommodates rear-facing infants or toddlers from 4 lbs., all the way up to 40 lbs. and forward-facing children can ride in the 5-point harness from 20 – 50 lbs. Ready Ride has been rigorously crash tested and side impact tested to meet or exceed all U.S. safety standards, and it’s LATCH equipped for easy installation. The removable cup /snack holder makes clean up a breeze and reversible head and body support provides two fashion options. Helps protect rear-facing infants from 4-40 lbs. and forward-facing toddlers from 20-50 lbs. Rear-facing for infants 4-40 lbs. Forward-facing for toddlers 20-50 lbs. Dimensions: 26.5H x 20W x 18.5D"
Machine-washable seat cushion and inserts. Harness straps may be spot cleaned.